The Speaker’s Parliamentary Placement Scheme believes Parliament should be accessible to everyone. It is widening access by offering a 9-month paid placement to people who have the skills, passion and potential to work there but don’t have access to the traditional routes in. Job details can be found at the link at the bottom of this page. Information about the recruitment process can be found opposite. There are 13 positions available with MPs from different political parties; three of these spaces are allocated for participants with disabilities. The Scheme is open to people from all walks of life across the UK. In previous years, successful candidates have ranged from school leavers, to those in their mid-50s, and people who have moved to London from many different parts of the UK. 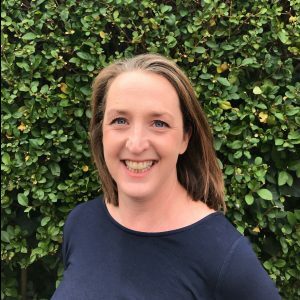 Successful candidates will spend their time getting to understand parliament by working with an MP in their Westminster office from Monday – Friday. 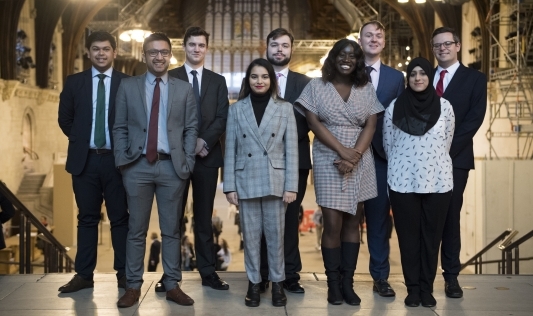 Each participant will be assigned a buddy at the beginning of their placement who works in a role within the House of Commons to help them settle in and navigate into life at Parliament. a chance to find out how business interacts with politics and to learn more about different career paths through a series of workplace away days hosted by corporate partners in professions such as law, insurance, engineering and the automotive industry. Each participant receives a personal career coach to help find employment at the end of the scheme. The aim is to equip participants with the skills and knowledge necessary to secure full-time employment after the scheme. Many of the interns previously on the scheme still work in the House of Commons as Parliamentary Assistants or in other departments. The Scheme is due to start on the 30th September 2019. During the first week, successful candidates will be provided introductory sessions and skills development sessions. Successful candidates will need to complete a comprehensive security check in order to gain full access to Parliament. The Speaker’s Parliamentary Placement Scheme welcomes enquiries and applications from everyone who does not have access to the traditional routes into Parliament. Black, Asian, Minority Ethnic people and those with disabilities are currently underrepresented and are encouraged to apply. For the full job description please see the link at the bottom of this page. PLEASE NOTE: Applicants may be chosen to work for MPs across all political parties so whilst you may have a political allegiance, you may well need to set this aside as you may be working for an MP who represents a different party. All applications must be submitted via the Step portal, CVs will not be accepted. A supporting statement should be included in the Personal Statement box (which can be expanded on the screen). This should be well written and accurate, explaining why you are interested in and suitable for the Speakers Parliamentary Placement Programme, taking in to account the requirements set out in the job advert. In particular, it should demonstrate that you are excited by politics. This could be evidenced by participation in political or community-related activities or by the fact that you have studied politics, public services, economics or a related subject. You may have been involved in a campaign or blogged about your interest in this area. We will also look for you to demonstrate that you are agile, resilient and able to work in a fast paced changing environment. Applicants must be eligible to work in the UK and / or hold a valid visa to cover the duration of the internship (September 2019 – July 2020). Successful candidates will be required to complete pre-employment checks which include security vetting to Counter Terrorist Check (CTC) level. Applicants who have resided outside of the UK for a total of more than two of the last five years are not usually eligible for vetting. Keep scrolling down to click-through to the full job description and application screen.